I finally went and booked myself a tour of the United States. It’s hard not to feel like it’s a necessary rite of passage. Just as importantly, I had one hell of a time. The places! The people!! One of the nicest people I met was Reuben Cox, and one one of the nicest places was his guitar store Old Style in Silverlake, Los Angeles. 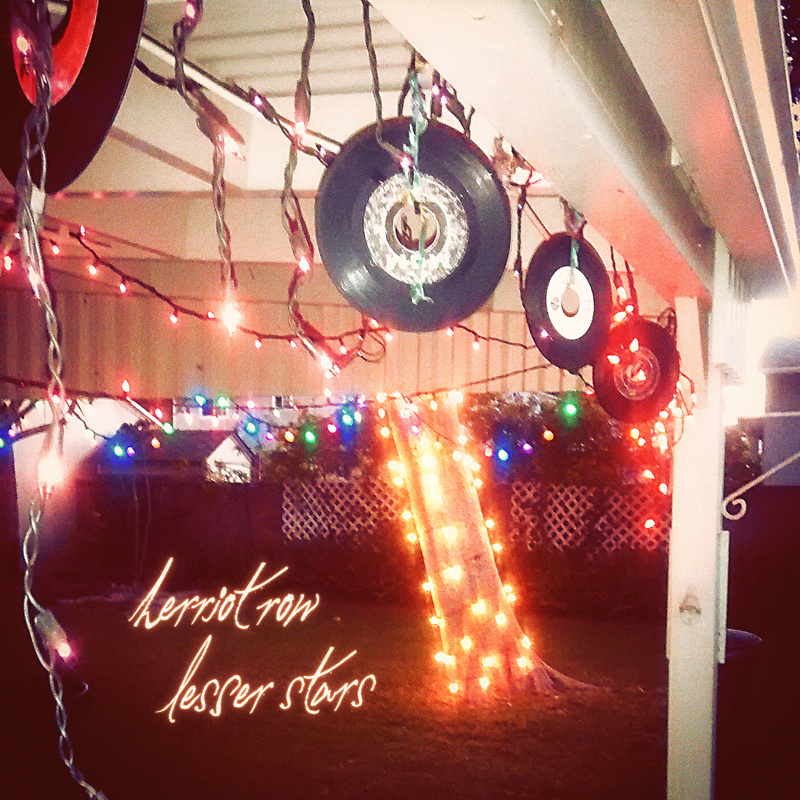 Not only did Reuben lend me a guitar to take all around America – he booked me my first show at his store too. 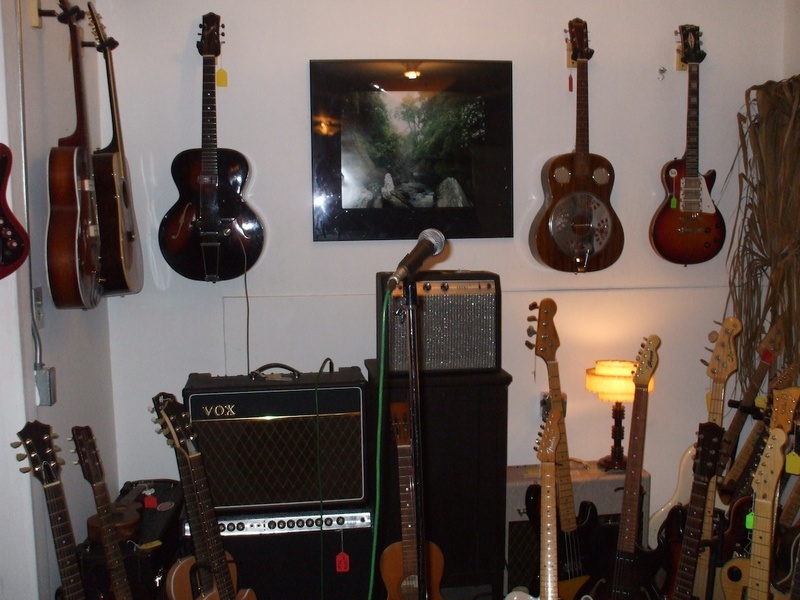 If you love guitars you gotta check this place out. And then I was on to San Francisco. It’s all too easy for an Aucklander to feel at home here what with the waterfront and the intoxicating mix of cultures. 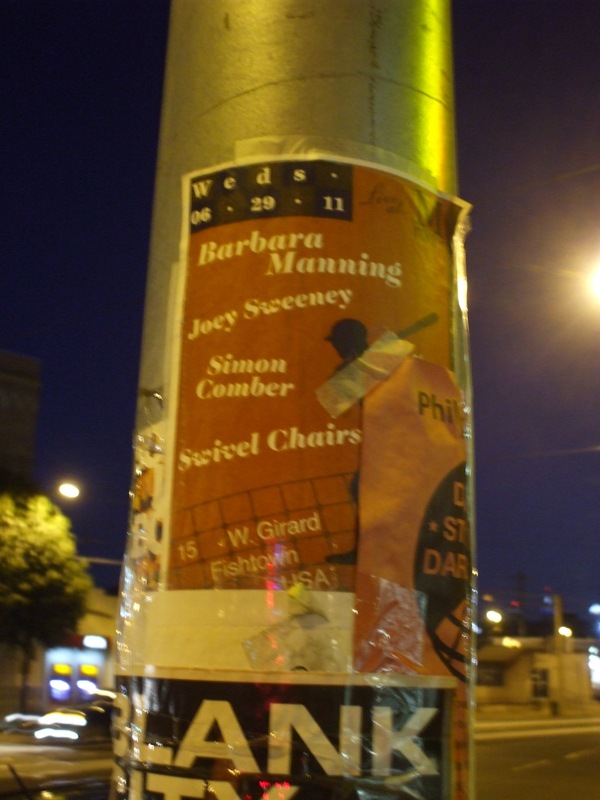 I got to meet and play the first of a number of shows with Barbara Manning. I first heard Barbara’s voice singing a song on the No Alternative compilation, which at the time I didn’t realise was a Verlaines song (in fact The Verlaines themselves were next on the tracklist with the immortal Heavy 33!). I went out and bought Barbara’s 1212 L.P soon after, which contains ‘The Arsonist Story’, to this day one of indie rocks most inspired song sequences. 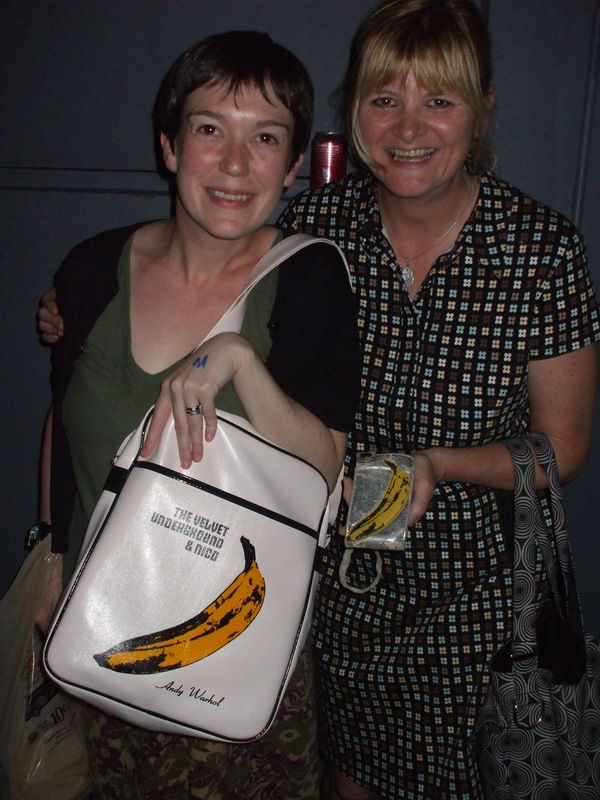 Who knew back then that over 15 years down the track I’d be getting the opportunity to play a few shows with Babs! 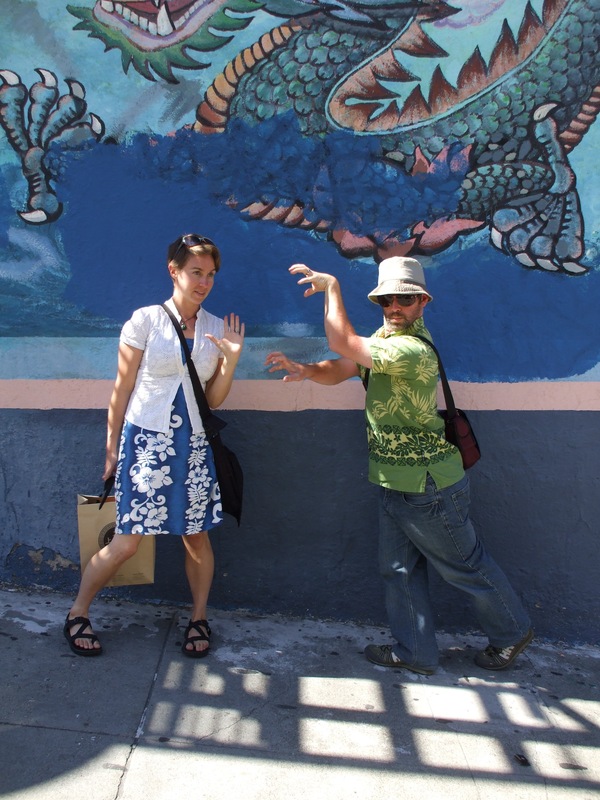 Speaking of nice people, it was also in San Francisco where I met up with two dear Dunedin-based friends, Danny Still and Jenee Gepner, who were holidaying in the States at the time, and had agreed to accompany me up the coast on tour. I had roadies! Such adorable gems these two. After a great show at Hemlock Tavern we followed Barbara up the coast to Eureka. 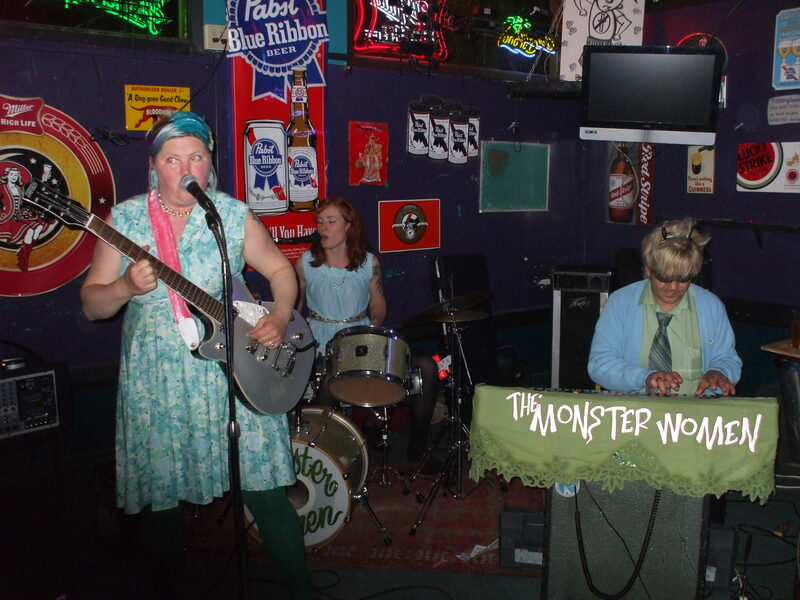 We both performed with her friends The Monster Women at a bar called The Shanty. They had to move the pinball machine out of the way so we could set up. 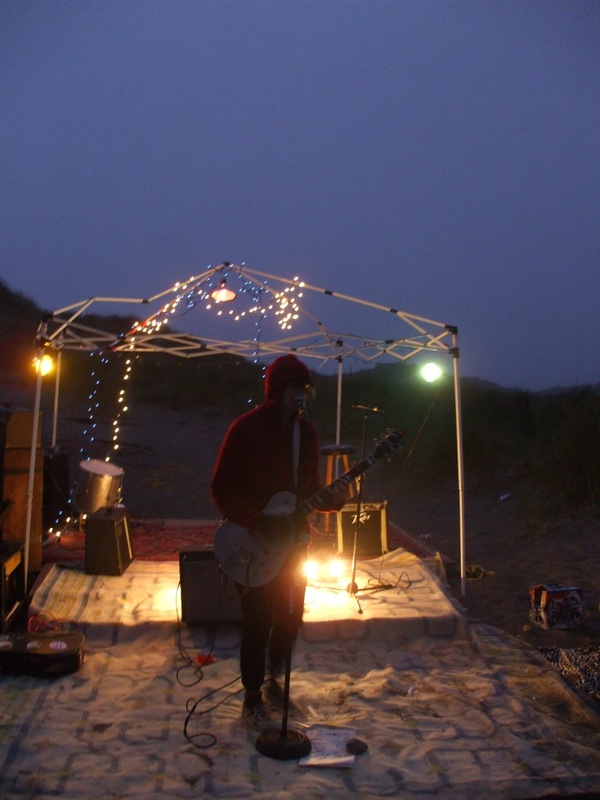 Then we all played at Mad River beach nearby in Arcata for the “Second Annual Beach Party in the Sky.” It was wild. There was space cake. Watching so many artists and bands play in such a magical setting as the sun sank behind the sand dunes was one of the more memorable experiences I’ve had on any tour anywhere, in any of my lifetimes. It was also bloody cold. Hence Babs in a hoodie. I left my new pals and headed on to Portland where I discovered Powells bookstore and met a great band called The Whole Wide World. 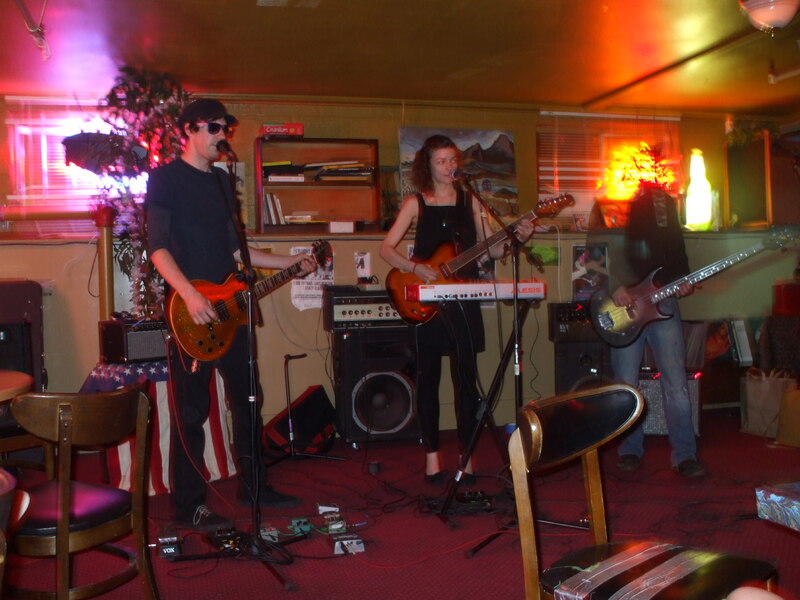 We played at the dive bar Langano Lounge. Josh Kalberg’s shoegazey guitar/vocal stylings blended dreamily with Charlotte Engler’s amazing high-pitch-perfect ethereal voice. They had a vibe! After saying goodbye to my surrogate roadies Danny and Jenee, it was on to Olympia. 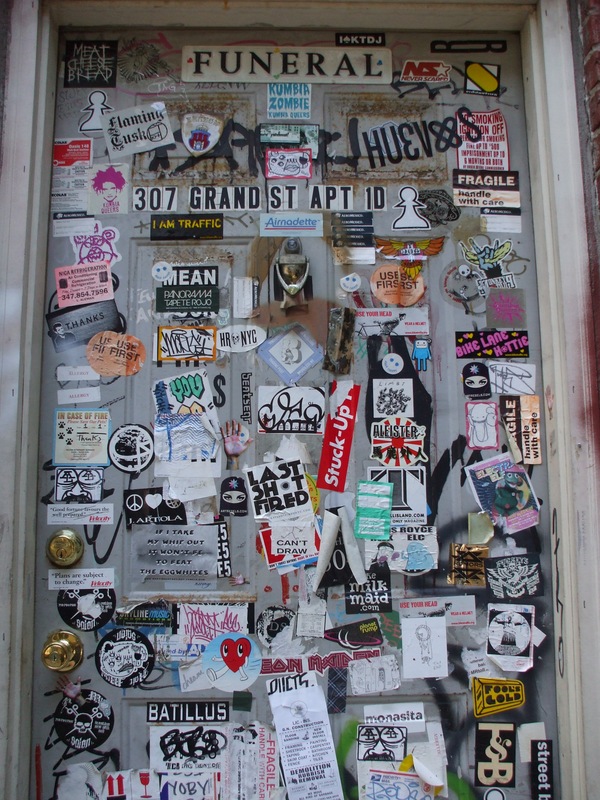 Home to K Records and Dub Narcotic Studio. Of course the kind-hearted dude providing me with a floor for the night (Bob Scwhenkler) was the in-house engineer at Dub Narcotic, and of course he took me on a guided tour. Swoon!! 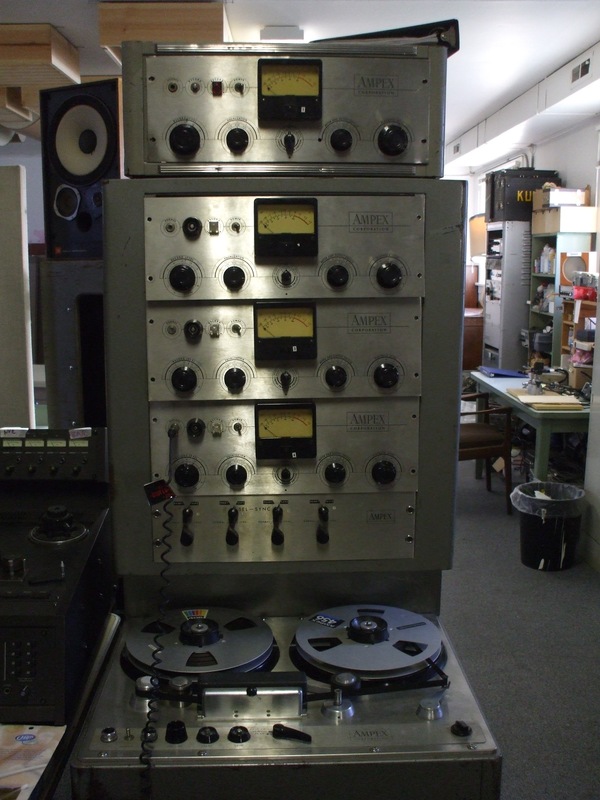 That’s an ampex tube reel to reel from the 50’s! Argh!!! 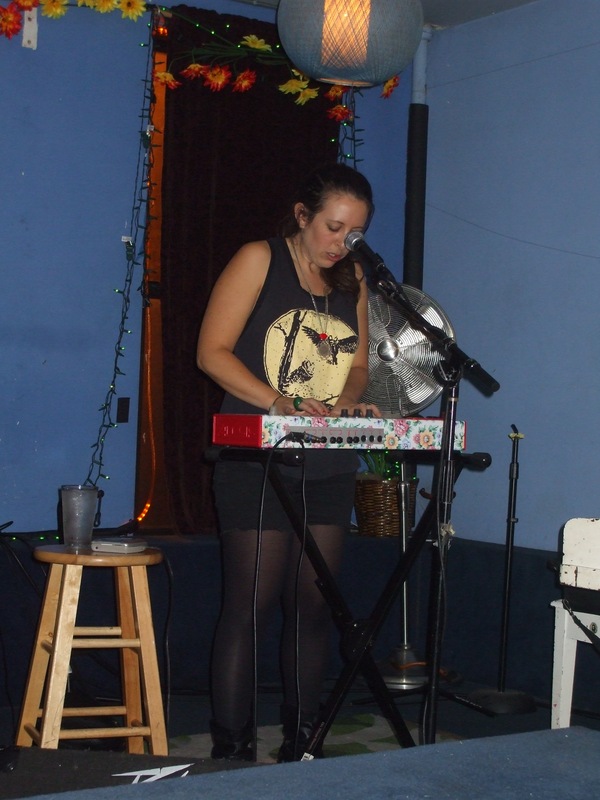 Have you heard Mirah? You must! 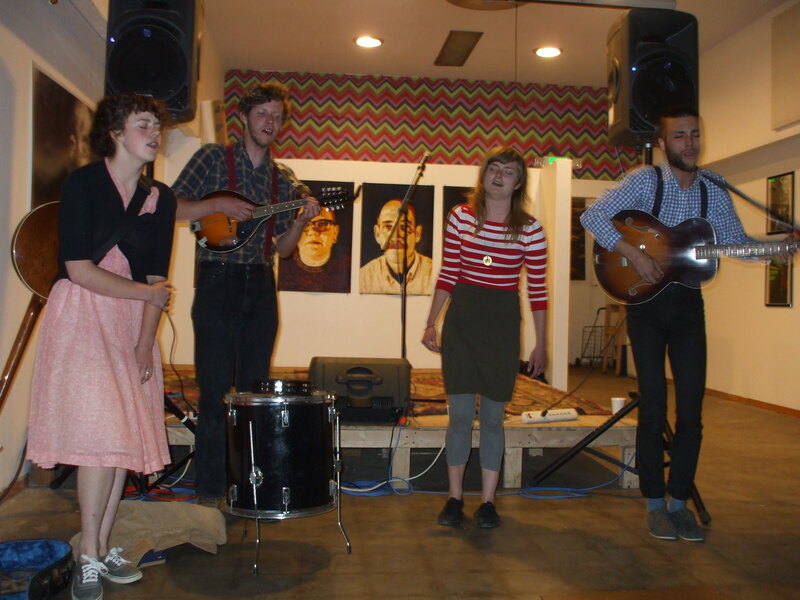 I played at The Northern with Sunshine and Irony, a rugged (and adorable) Americana band with true heart. Before we did our thing they took me to drink from the Artesian Well. I’m told this means I’m cursed to return. I sure hope so! In New York I met up with long lost pal Stephanie Brown, who now makes gorgeous synth pop under the name Lips. And I wandered, and I wandered. Barbara Manning flew over from her home town of Chico to meet me in Philadelphia for her first East Coast show since 9/11. Barbara and one of her fans – I love this photo. 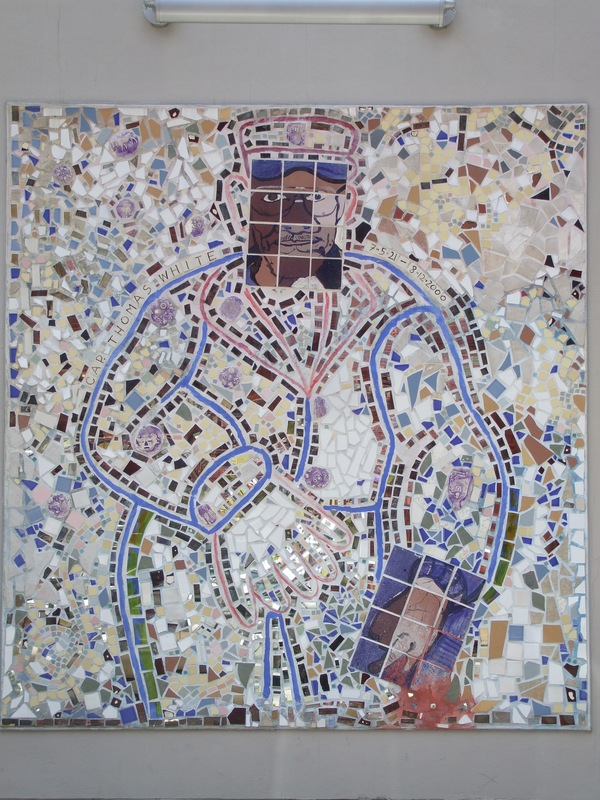 Wandering Philly I discovered the incredible mosaic art of Isaiah Zagar. “Don’t go to Nashville. It’s just L.A with a southern accent.” That’s what they told me, but I couldn’t resist. 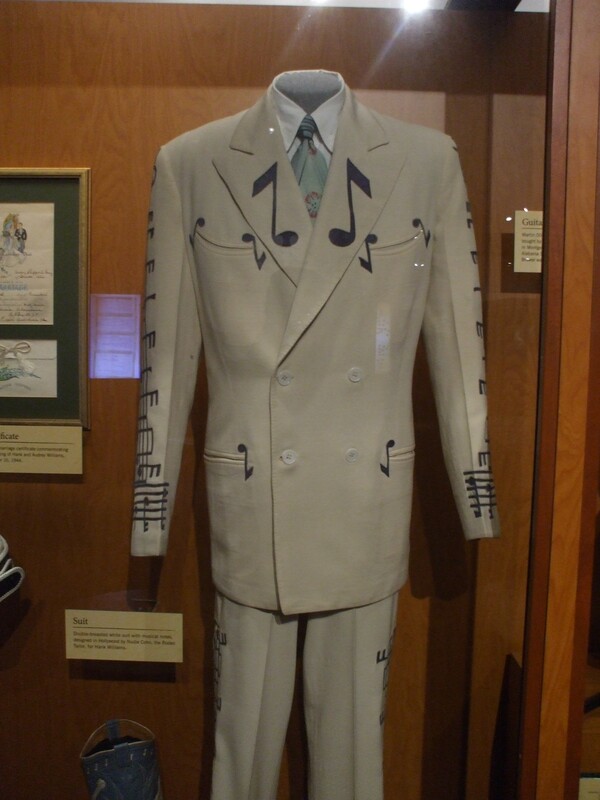 I went to the Nashville Country Music Hall of Fame and beheld this suit worn by the immortal Hank Williams. 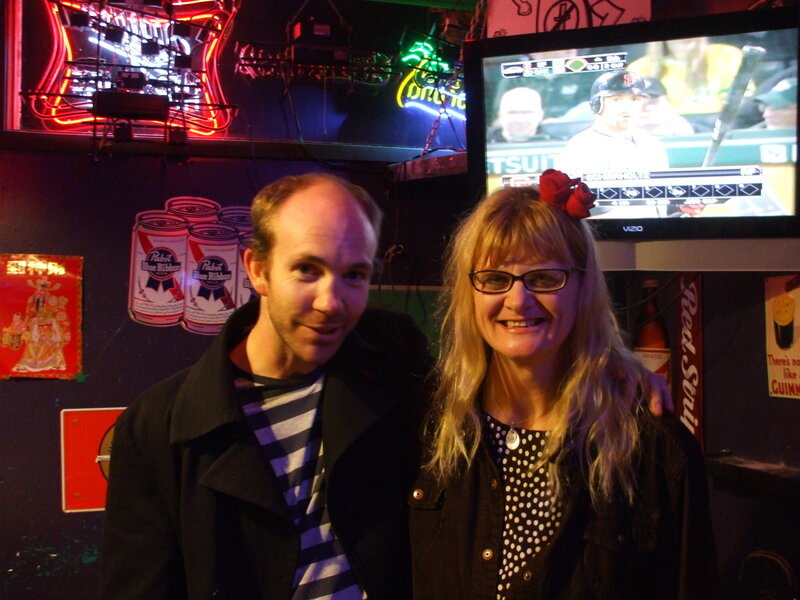 My friend Kelly Steven (who was in Punches with James Duncan) moved to Nashville with her hubby Matt Sherrod (who drums for Crowded House! 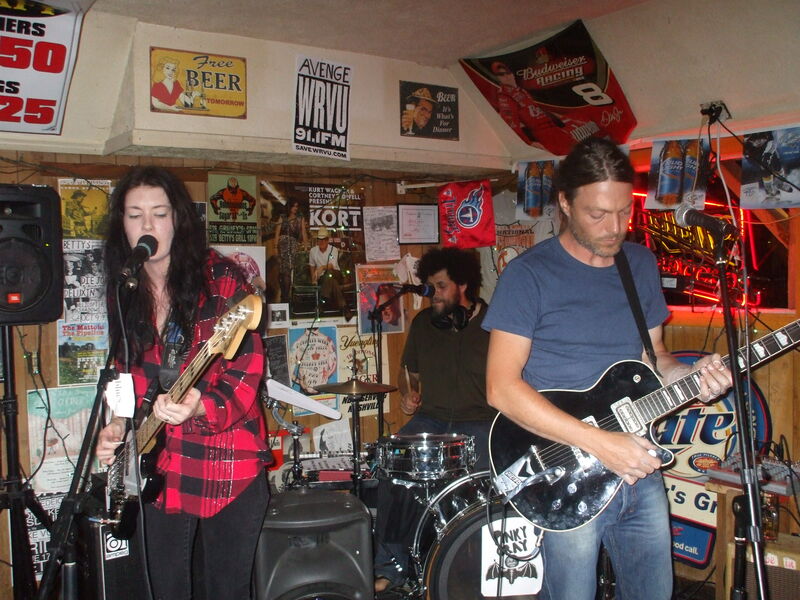 )They’ve formed a band called Pink Gray, and we did a show together at the Betty’s Bar and Grill, the ONLY underground venue in Nashville. 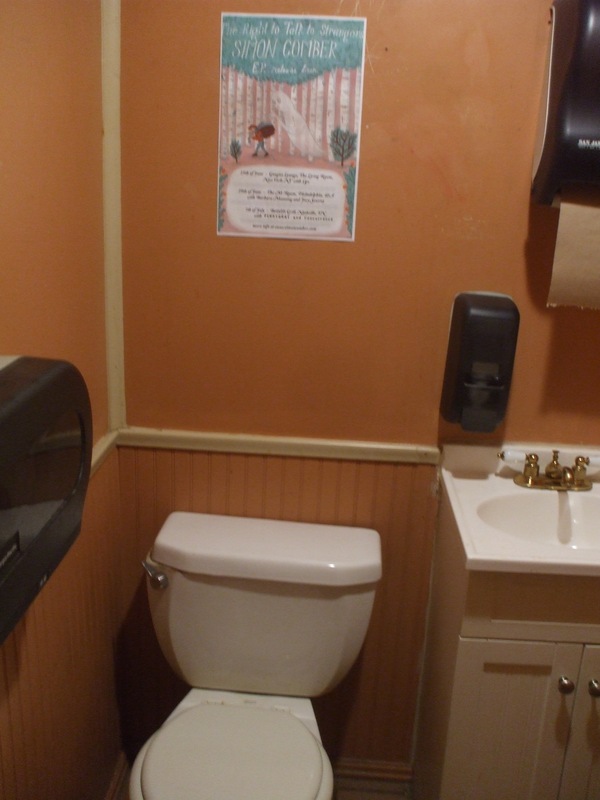 .The good folk at Betty’s were gracious enough to put my poster everywhere. 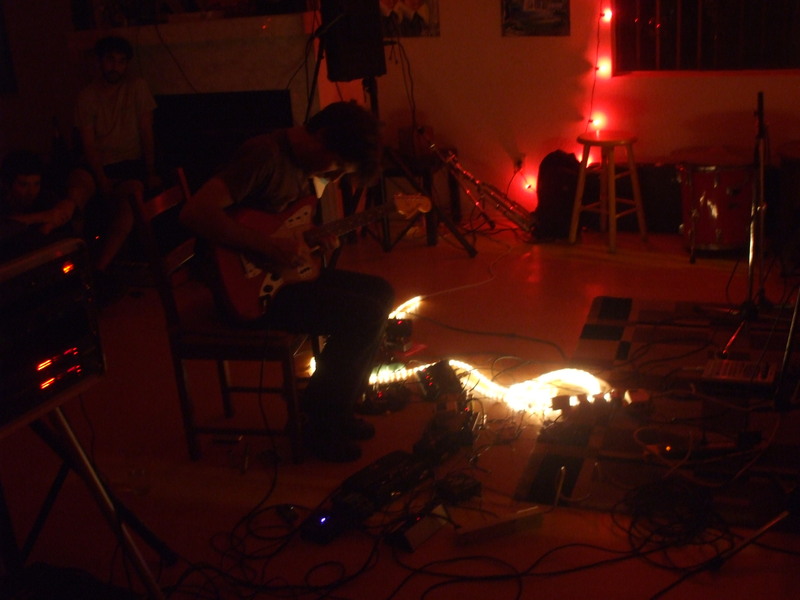 And finally I was back where I started – in Los Angeles for a house concert with my friend Andrew Scott and his partner Helga Fassonaki, who perform respectively as Un Ciego and Yek Koo, and together as Metal Rouge. 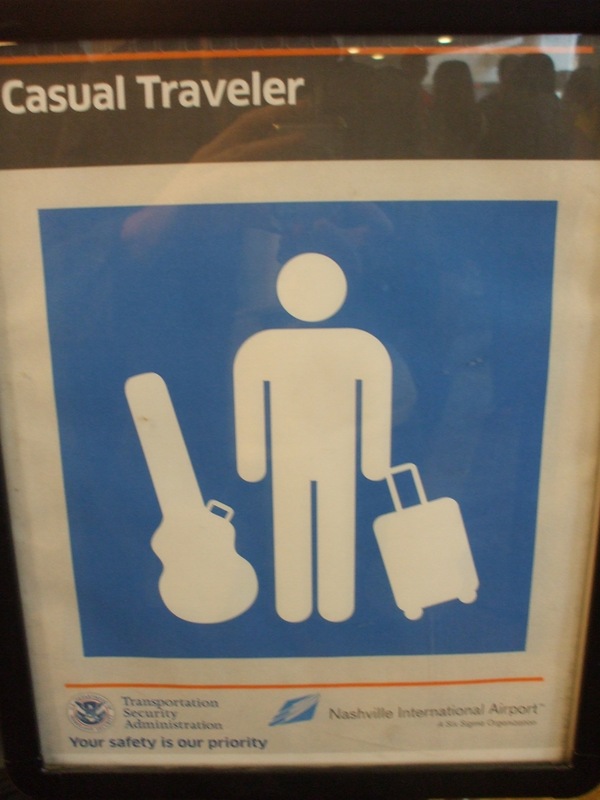 I leave with you with a photo of this sign I saw at Nashville Airport, which gives you some insight into how synonymous that city is with music of the rambling, gambling, honky-tonking loner variety. It also pretty much sums up how the majority of many a day is spent when on a low budget solo tour of America.